An unexpected day off for me! The stars had aligned…sunny, dry, and now a day off…well, let’s go hiking! 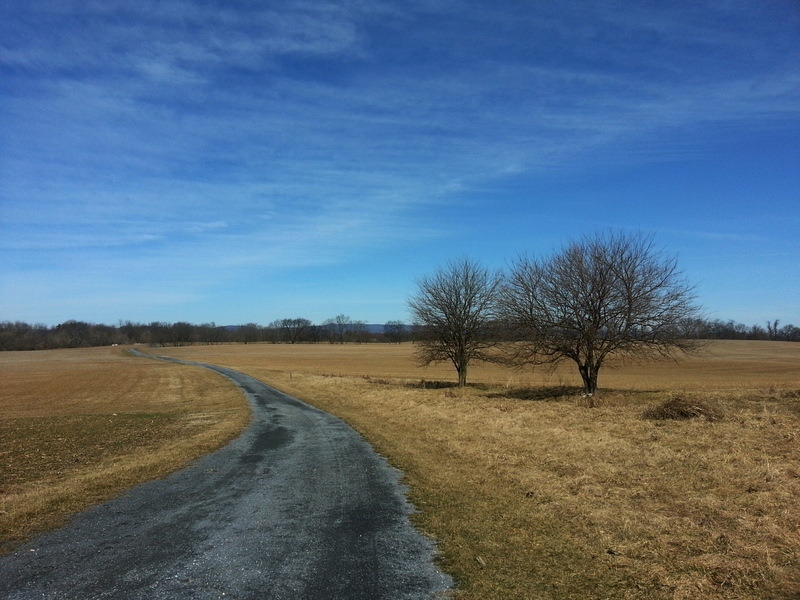 Thomas Farm is part of the Monocacy National Battlefield located in Frederick, Maryland. 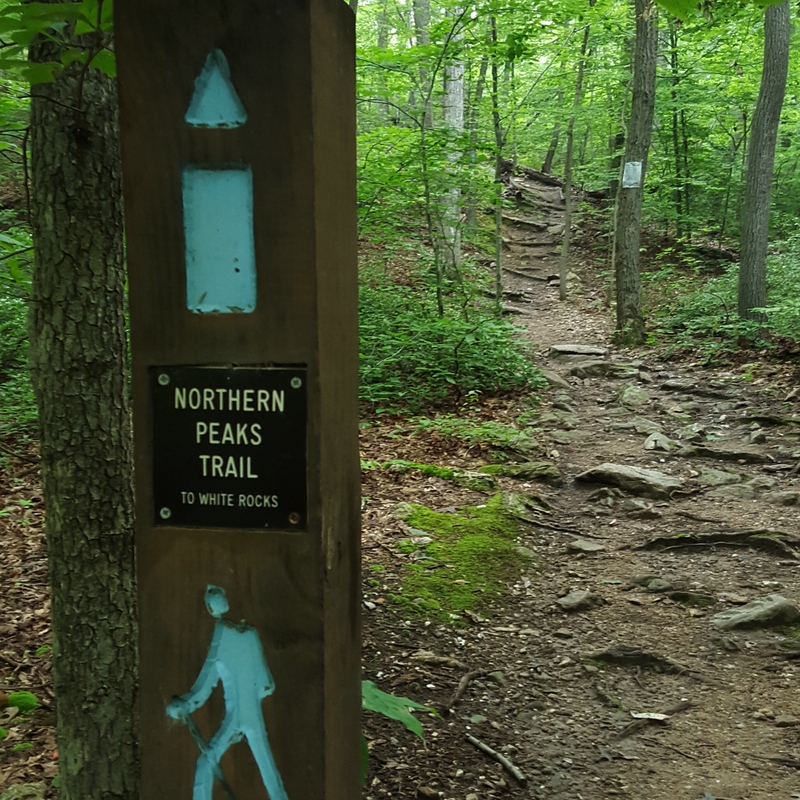 The trail here is too short for a full day hike but perfect if you have an hour or two to spare (I did!). 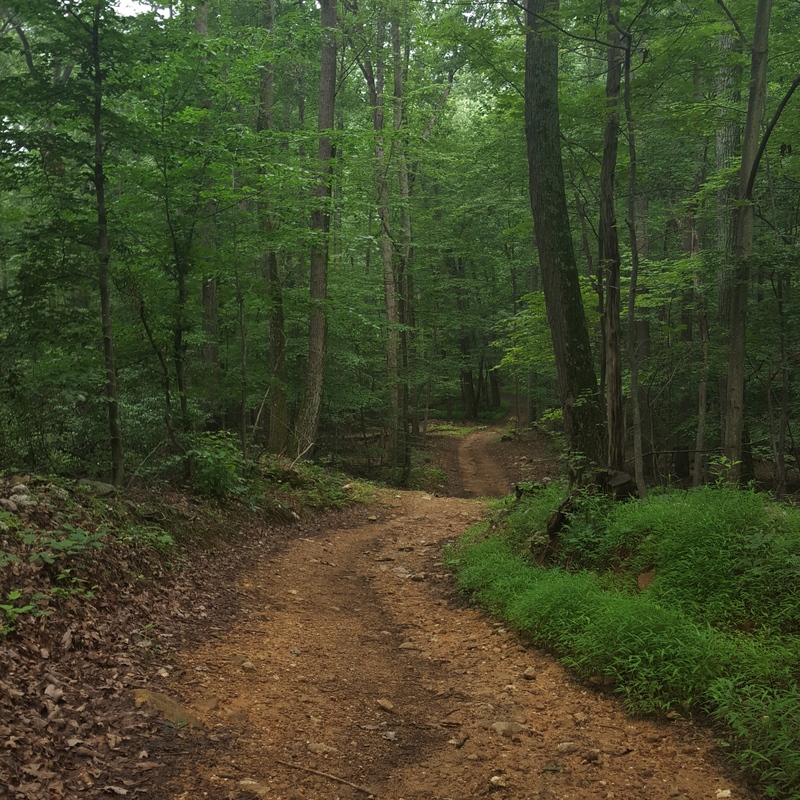 This was my first time at Thomas Farm so I was filled with excitement that only a tramp down a new trail brings as I pulled into the parking area. 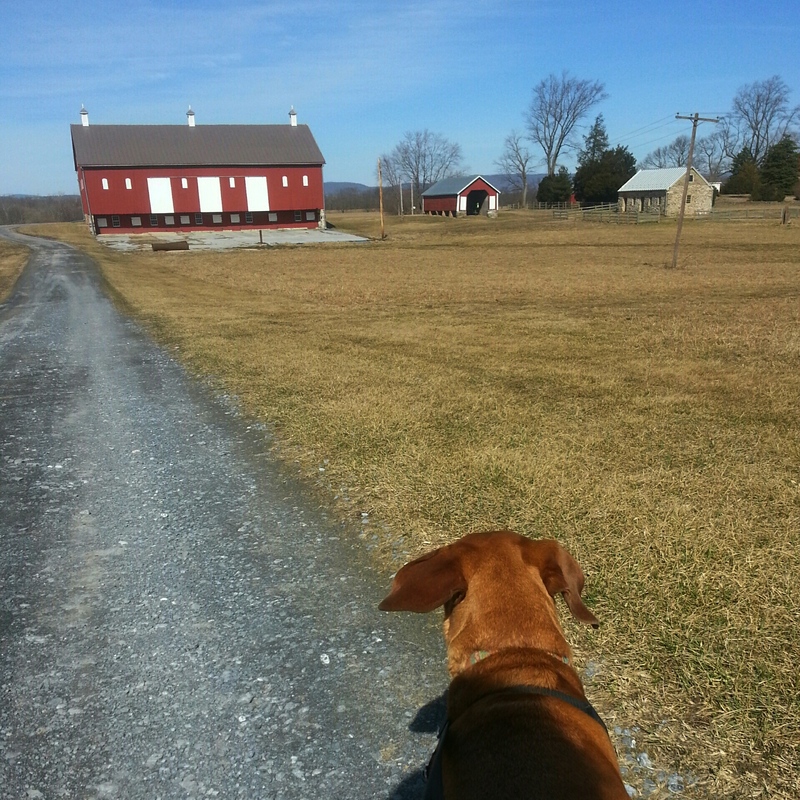 Sidekick Pauli was in tow, and together we started down the drive towards the big red barn. 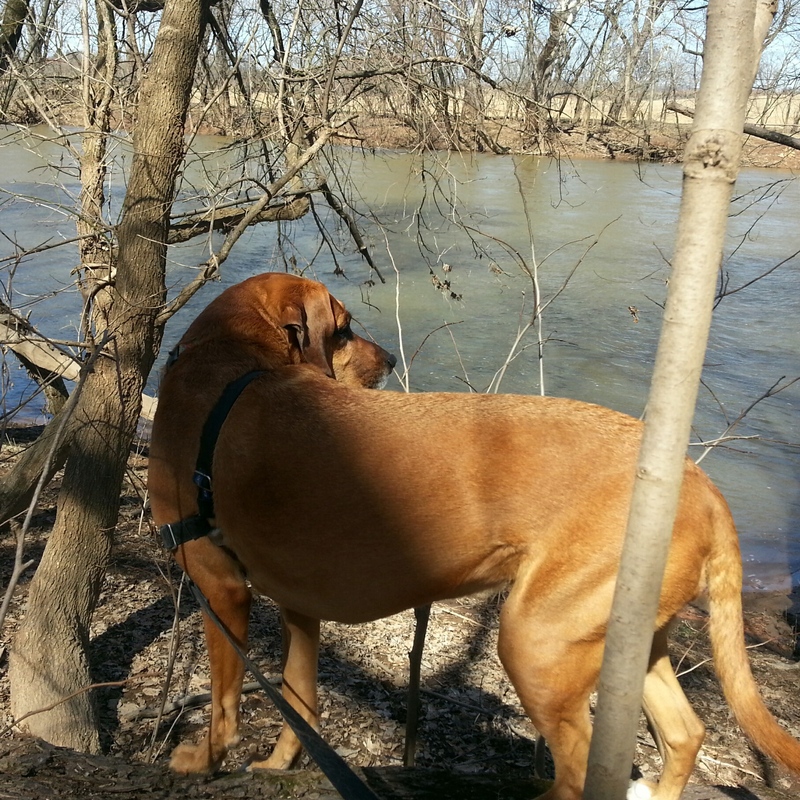 The wind made things cold for awhile…and it kept blowing Sidekick Pauli’s ears from side to side! Once past the big red barn, the drive heads down the middle of the field. Easy walking! Beautiful view of the mountains in the distance, but totally flat through the field. If there is a negative, it would be that this farm sidles up to I-270. Honestly, it didn’t bother me that much…but the wind was literally howling at times so it could have masked the sound of traffic! Towards the end of the field the white trail goes down hill to the Monocacy River. It was quite full, fast and muddy today. 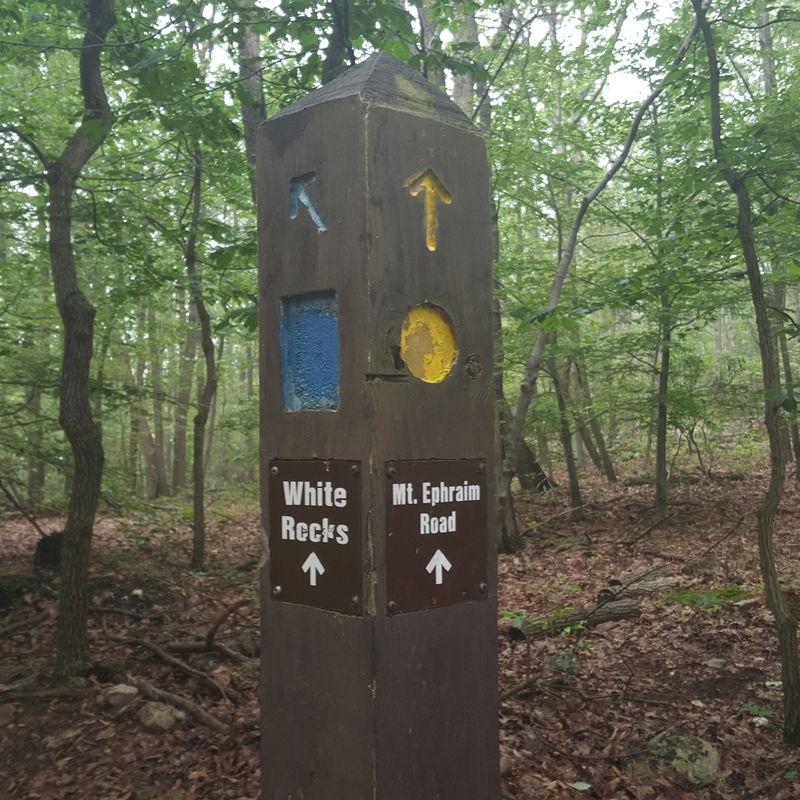 The white trail was in pretty good shape for being so close to the river and was a pleasant diversion from the field above. 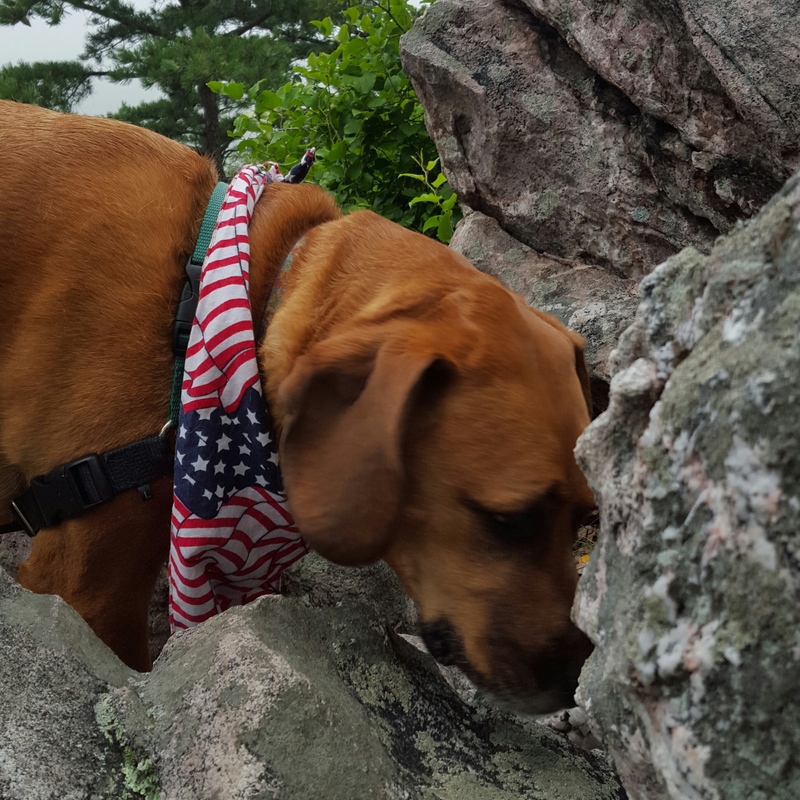 Sidekick Pauli had a good time using her hound dog nose to sniff the place out! 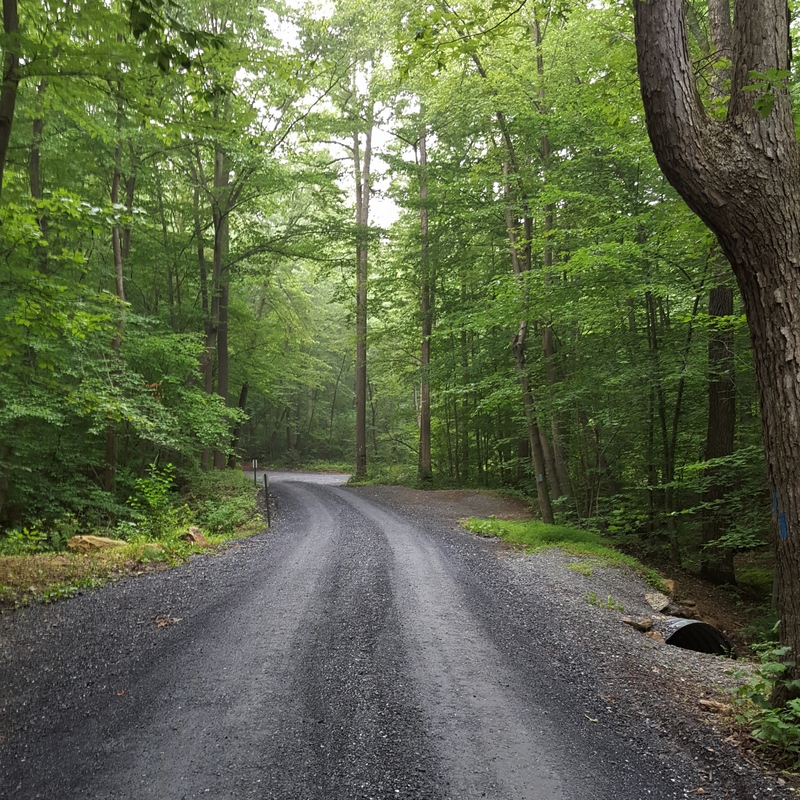 I headed down 340 towards Harper’s Ferry, and thought briefly about going down towards Shenandoah National Park…but then Weverton came into site as I rounded a corner. I pulled off into the commuter lot, grabbed my pack and Sidekick Pauli…we were off! 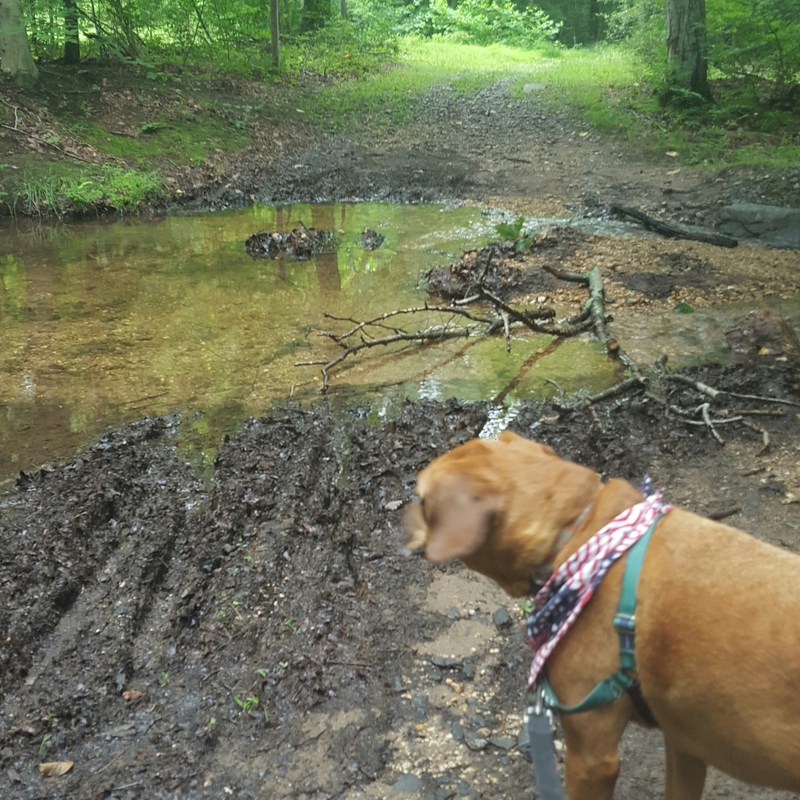 Yay, someone had broken trail before us! Boooo…the plows had come by piling up the snow at the edge of road next to the trail. It must have been 4 feet high! I started to climb over the the snow bank and promptly sunk into my knees, lovely way to start a hike. 😉 Sidekick Pauli didn’t seem to mind and jumped like a jack rabbit through the pile up of hard packed snow. 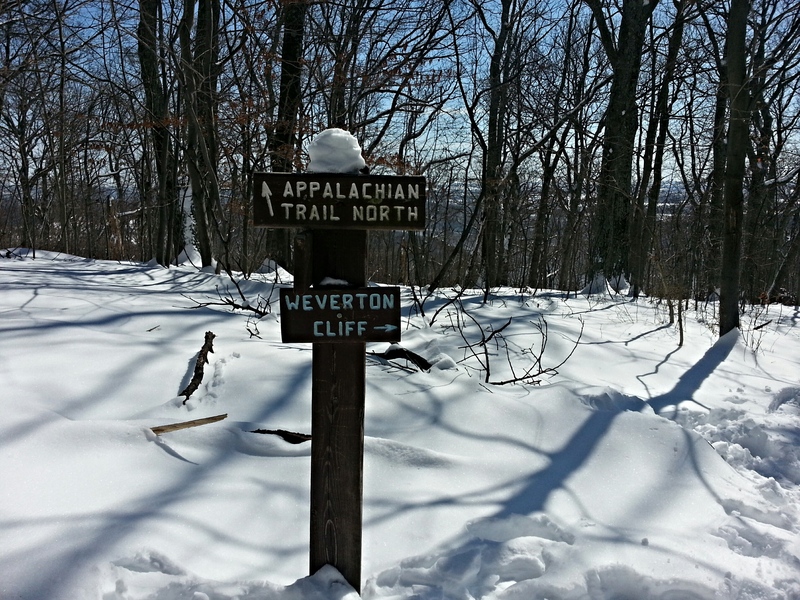 I noticed snowshoe prints alongside the trail…brilliant! 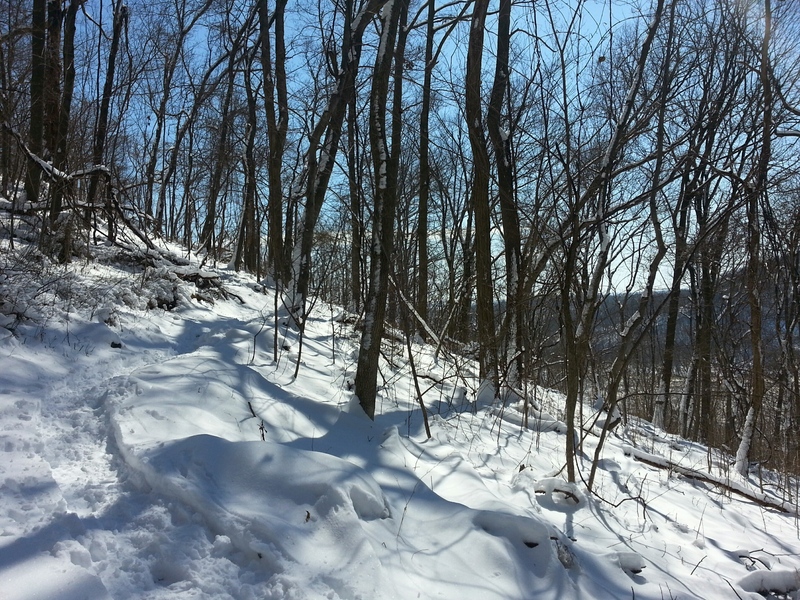 I was wearing microspikes and glad of them…but the snowshoes would be a perfect choice for this soft, fluffy stuff. 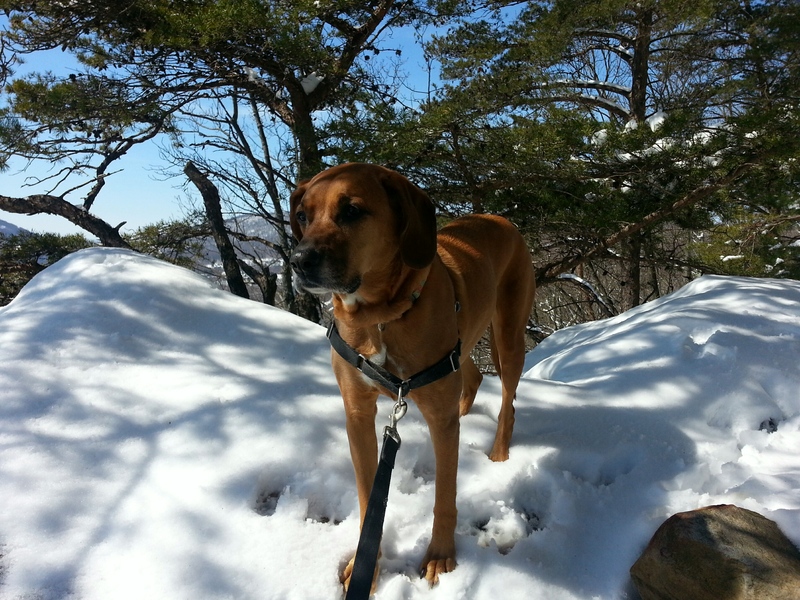 Sidekick Pauli did well with her four on the floor sticking her nose in the air sniffing her way up the snowy trail. Steep! and great winter views! 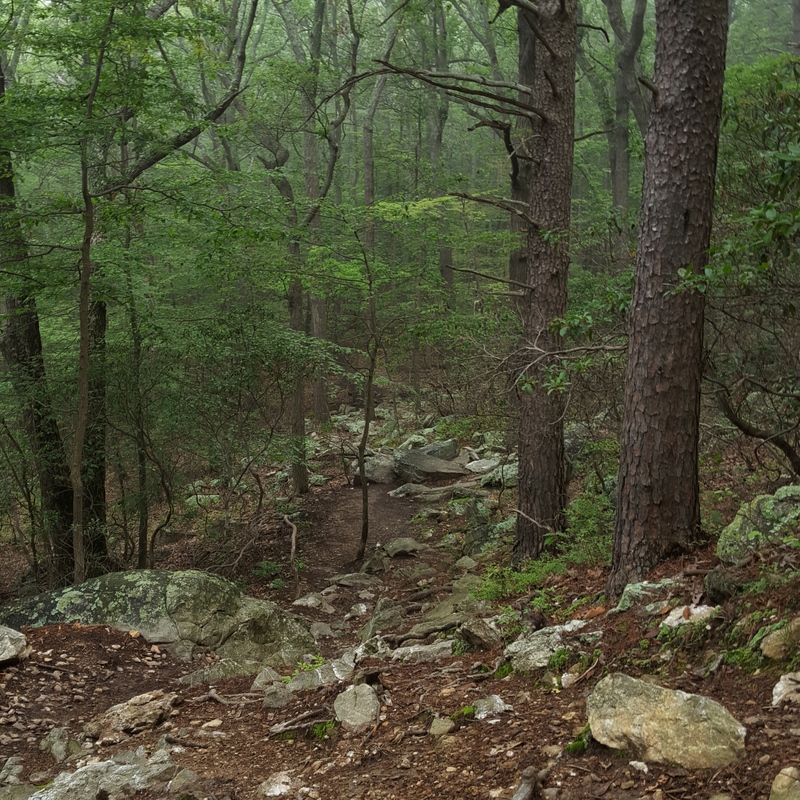 This trail has its fair share of rocks and step ups, but not today. 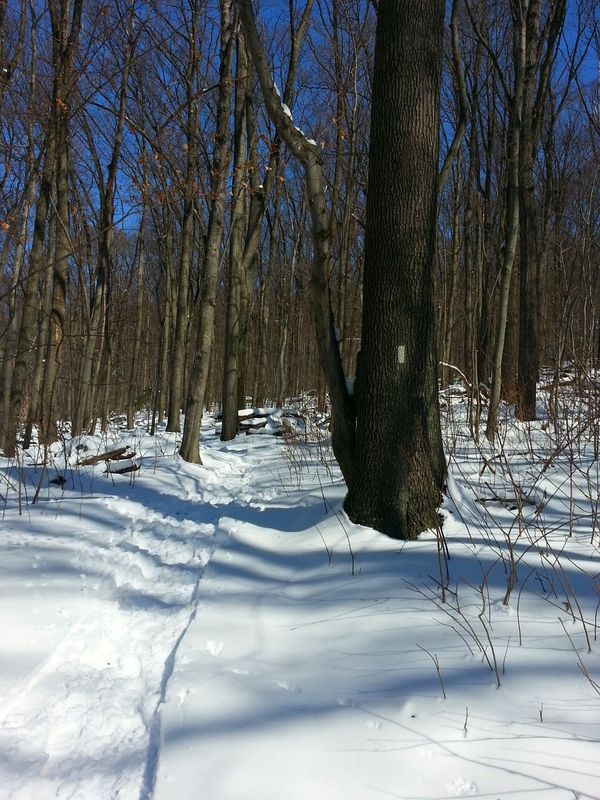 The blue skies and snowy trail made for a lovely walk. Steep as usual, but without the toe stubbing spots and ankle turner opportunities. The temperatures were also delightfully mild and I actually found myself wishing I hadn’t opted for the heavy weight long underwear! 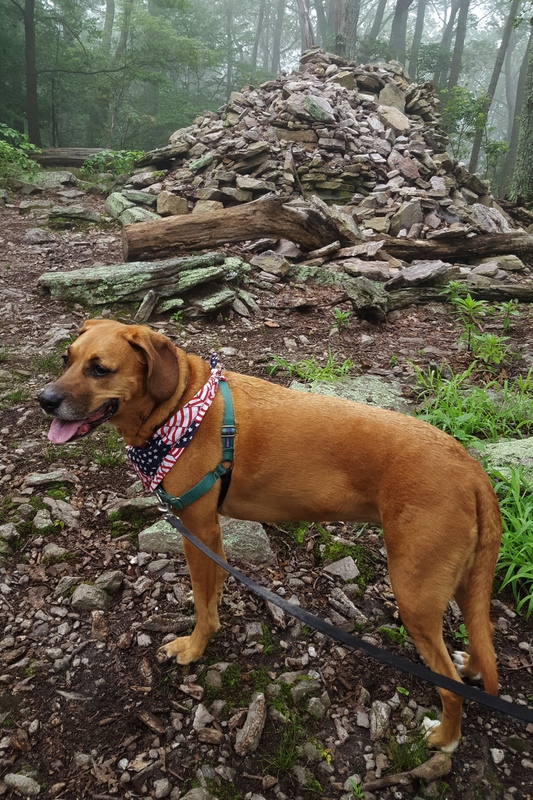 We stopped at the top to share a PB&J and some cheese (Sidekick Pauli’s favorite hiking snack). The views were amazing and we had the sunny overlook to ourselves for quite awhile today. Nice! 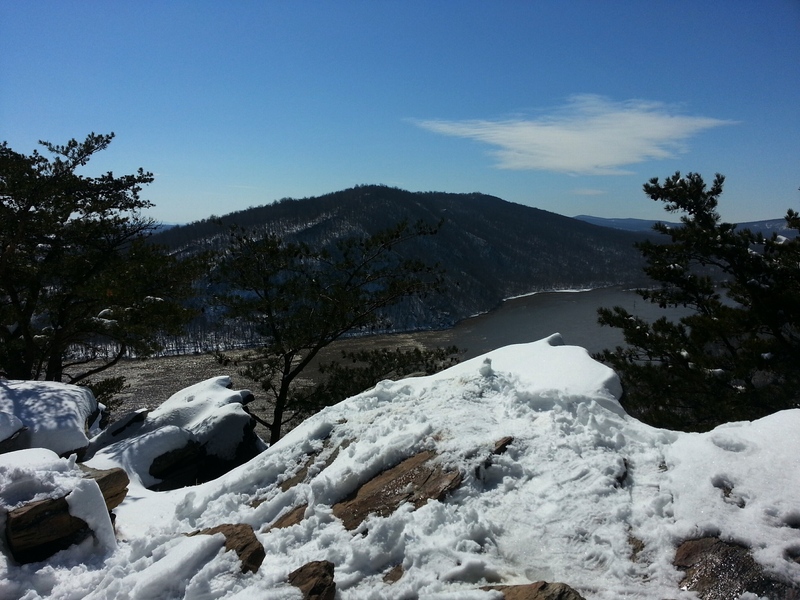 Weverton Cliffs with the Potomac River in the background. I can see Spring from here!